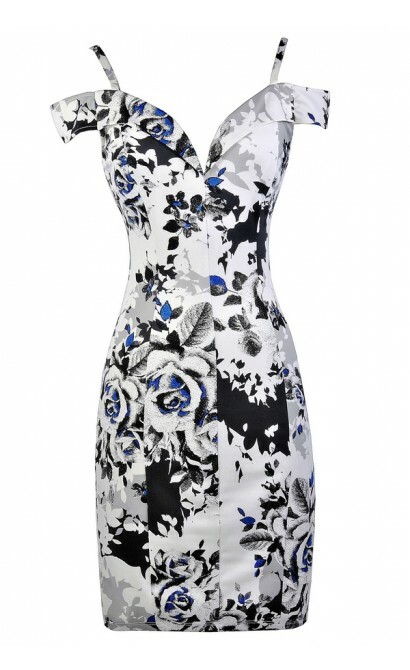 This black, white, and grey neutral printed off shoulder dress has hints of royal blue, giving it a graphic artistic touch. 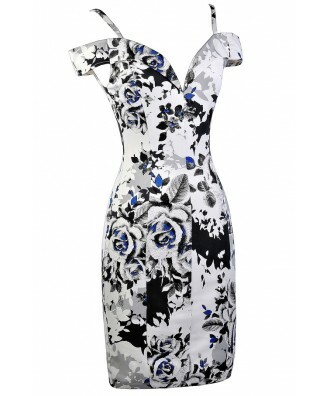 The Hints of Blue Printed Off Shoulder Pencil Dress is fully lined and made of a silky fabric. It has a sweetheart neckline with foldover fabric at the top, spaghetti straps, and off shoulder sleeves. The flirty fitted cut makes this dress a cute option for a night out with friends. A hidden back zipper completes this dress. 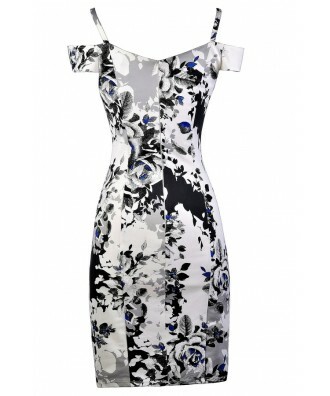 The Hints of Blue Printed Off Shoulder Pencil Dress would look nice paired with grey or black pumps or wedges. Another cute option is to pair it with cobalt blue pumps and a clutch to match the blue in the dress and really make it pop! Details: Fully lined. Hidden back zipper. 100% polyester. Hand wash cold water. Do not bleach. Do not tumble dry. Do not iron. Do not dry clean. Small measurements: Length from top of bust to hemline: 33". Bust: 33". You have added Hints of Blue Printed Off Shoulder Pencil Dress into Wishlist. 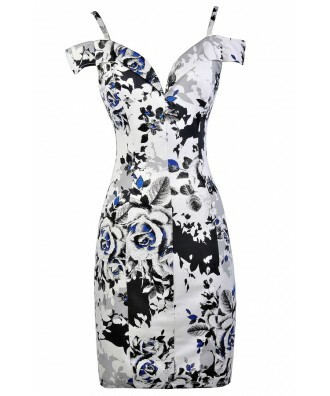 You have added Hints of Blue Printed Off Shoulder Pencil Dress for Stock Notification. You have set Hints of Blue Printed Off Shoulder Pencil Dress as a loved product. 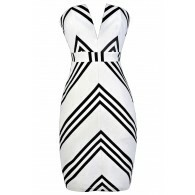 You have removed Hints of Blue Printed Off Shoulder Pencil Dress as a loved product.